I've been studying sales, deals, retail trends and hunting down the biggest deals for the past decade. Today I want to share 10 huge predictions where I guarantee 100% accuracy. 1. 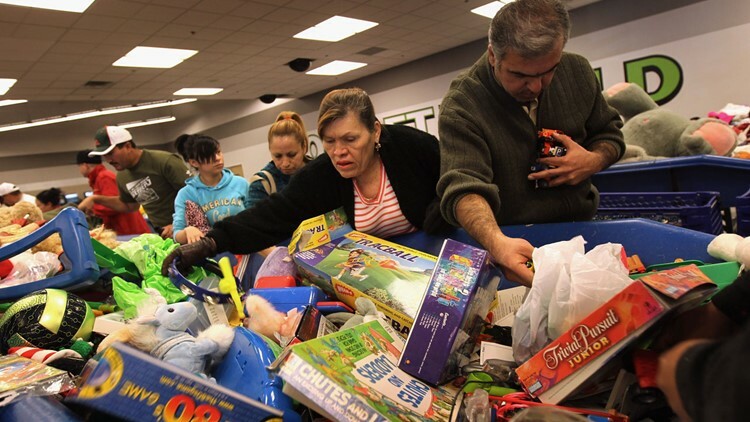 BLACK FRIDAY AS YOU KNOW IT IS OVER.The days of camping out and lining up are over. This year, even more than last year, Black Friday is completely diluted with the huge deals dropping well before Black Friday. Most of the biggest deals are already live and I have this sneak peak right here. 2. BLACK FRIDAY IS WAY BETTER ONLINE. We saw the start of this two years ago. With the exception of specific sales on TV's, gaming bundles, Black Friday is now an online beast filled with bargains and more stock than ever before. 3. YOU WILL SAVE 10% MORE ON CYBER MONDAY. On specific store-wide sales - yes... not specific merchandise. On Cyber Monday, the store-wide sale amount you save will be 10% greater on Cyber Monday in most cases. For example, a 30% off all clothing sale on Black Friday will be 40% off Cyber Monday. 4. STORES WILL ATTEMPT TO RUIN THANKSGIVING AGAIN. We will hear of these stupidly early start times where stores open their doors up wide for shoppers on Thanksgiving or stay open for crazy extended hours. A reminder, we will have all huge doorbusters before Black Friday. 5. SAY HELLO TO $33 TABLETS AND $170 LAPTOPS. The trend repeats this year and I guarantee you that if you are on this deal list, I will get you ever major deal in stock and super early! 6. THERE WILL BE NO BETTER DAY TO GRAB A TV DEAL. Any consumer reporter who suggests TV purchases are lower during The Super Bowl or Cyber Monday is completely incorrect. Black Friday is the single best day of the year to buy a TV and you will see increased 4K tv sales this year. The biggest TV deals will be in the form of doorbusters. 8. THE BEST BLACK FRIDAY DOORBUSTERS WILL BE ONLINE EARLY. With a higher number of customers shopping through mobile platforms and from the comfort of their home, more stores than ever before will push door busters and major deals online. 9. THERE'S EVEN LESS OF A POINT TO LINE-UP THIS YEAR. With most stores stocking identical items on their websites and offering e-DoorBusters, camping out in advance has even less of a point this year. 10. 'TIS THE SEASON OF THE BEATS BARGAINS. Several years ago, it was almost impossible to find a major deal on Beats Audio. This year, Beats bargains will drop extra early and I know exactly where they are. In fact, they begin in 3 days and I promise if you follow me, I will get them all to you in stock and early!